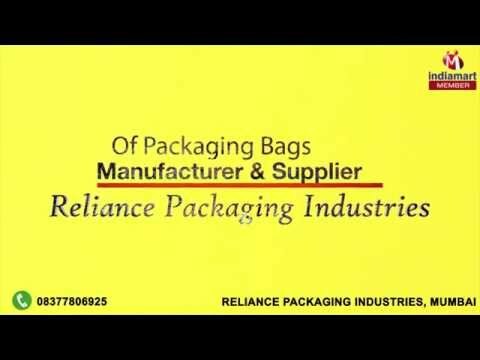 Welcome to Reliance Packaging Industries, established in the year 2010, we are the experienced manufacturers, suppliers and wholesalers of a quality array of Bags and Envelopes. Our range of bags comprises of PP Polythene Bags, LD Polythene Bags and HM Polythene Bags. We are highly acknowledged and appreciated for offering finest grade bags that cater to the varied needs of our client base. Known for their optimum tear resistance and excellent finish, the whole range of bags provided by us is much demanded among our clients spread across the globe. Provided products are fabricated from optimum quality components sourced from the trusted and reliable suppliers of the relevant domain. To meet the varied needs of our clients efficiently, we are offering these bags in various specifications and designs. Only those products that are as per the quality norms are made available to our valued customers. As a outcome, we have gained immense appreciation of a large number of customers belongs to different industries spread across the world. We are able to cater the bulk demands of the offered products in timely manner.